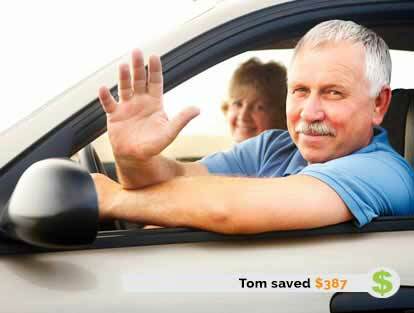 Cheap Car Insurance Barrie, Compare Lowest Quotes & Save! Call or Click to Save on Barrie Car Insurance! Getting Cheap Barrie Car Insurance Quotes Is Easy! For over 40 years, ThinkInsure has been proudly insuring Barrie car owners. With the best car insurance coverage at the cheapest rates in Ontario, see why so many Barrie drivers choose ThinkInsure for their car insurance. We Can Save You Money : As an independent insurance provider serving Barrie, we find you a range of insurance quotes from leading Ontario insurance companies. Searching pays off. On average, our customers save about $400 a year. We Give You Lots Of Choice : You're able to compare quotes and choose the best option for your car insurance needs. 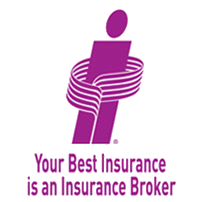 Through ThinkInsure, you will get the best car insurance coverage and the lowest rate in Barrie. We Value Your Business : Delivering high customer service and satisfaction is a top priority for us. With our team of insurance licensed experts, we will make sure your car insurance requirements are met. It's Quick, Simple & Free : Buying car insurance in Barrie is a snap. Whether you obtain an Online Quick Quote or you call 1-855-550-5515, we will help you get the best car insurance at the lowest price in Barrie. Bundle with your Home Insurance and save even more! Compare quotes and start saving on your Barrie Car Insurance now. If you like saving time and money - raise your hand if you do. OK, so you're not alone - it makes total sense to shop around before making a major purchase decision. That's especially true of car insurance. If you are a driver in Barrie, we make the process of comparing cheap auto insurance rates quick and easy. Get started by entering some basic information about you and your vehicle into our online form. We will instantly compare multiple car insurance quotes for you. Then just make your choice from the cheapest rates available in Barrie. Or if you prefer to use the phone, call 1-855-550-5515 and one of our Barrie car insurance experts will be happy to help you. When you get only one auto insurance quote, how can you be sure it reflects the best rate? If you live in Barrie and want the best car insurance coverage at a cheap rate, we will find what you're looking for. At ThinkInsure, we know our success depends on you being satisfied your auto insurance needs are being met. Since we are independently owned, we get unbiased quotes from multiple insurance companies. First, we assess your car insurance needs. Then we search for the products that best meet your requirements. We make sure you receive the most extensive coverage in Barrie at the best price possible. For those with a great driving record - and even those with a not-so-great driving record - we connect to the best rates available in Barrie. You are given a range of the most affordable rates in Barrie, allowing you to compare quotes and buy the cheapest option. Why delay? Start saving money now. We compare car insurance rates for all of Barrie. Let us compare car insurance quotes for you and see how much you can save! On average, Barrie has more younger people. The median age in Barrie is 37.2 years, compared to 40.4 years in Ontario overall. With a labour participation rate of 73.2% - the highest in Ontario (January 2013) - 84% of Barrie residents drive a car as their mode of transportation. Another 11% are car passengers, leaving just 5% who use public transportation, walk or cycle. Highway 400 is the primary route between Barrie and Toronto. A sizeable number of Barrie residents give the city on Lake Simcoe its bedroom community status, as they regularly commute to Toronto using Highway 400. Bisecting Barrie in a mostly north-south direction, Highway 400 splits off into Highway 11 in Barrie. The 400 continues north through Parry Sound and French River to Sudbury, while Highway 11 cuts north through Orillia and Huntsville to North Bay. How Do These Facts and Stats Impact Barrie Car Insurance Rates? What these stats and facts about Barrie help illustrate is that Barrie is a growing city with plenty of cars on the road. This translates to a good deal of driving and traffic congestion, which can lead to car accidents - especially expensive multi-vehicle auto accidents. A greater number of traffic tickets, as well as car theft and increased car insurance fraud, is of course related to a greater number of vehicles on the road. Different car insurance companies provide varying auto insurance quotes depending on their own specific algorithms to determine what rates they offer. This results in some Barrie insurance rates ending up higher and some lower than others. To make sure you get the best car and auto insurance rates in Barrie, choose ThinkInsure to do the work getting you a range of quotes. We shop and compare what's out there to get you the best Barrie car insurance coverage and rates. We make the process of getting car insurance in Barrie as easy as "buy"! So get an online quick quote right now. Or, if you prefer call 1-855-550-5515 and discuss your needs with a friendly and knowledgeable ThinkInsure insurance professional. And start saving on your Barrie car insurance. We are a licensed Alberta and Ontario car insurance provider. So if you are an Alberta or Ontario driver we can get you coverage. Since we work with so many insurance companies you'll be able to compare multiple quotes for your region and get the lowest rate. "One Friday at 4 pm, I called Gavin at Thinkinsure in a panic as my insurance was expiring on Tuesday with another company and I was referred to Thinkinsure. Not only did he answer the call, but he got the application out to me first think Monday morning and I had my pink slip by Monday afternoon." "They are very professional workers and do their best to help. I have even called before to see if I could get a better rate and the representative did everything in her power to get me a better rate. That is great service." "Thinkinsure is my first choice for insurance. Car, boat , motorcycle. Having had a recent claim, I found the claims representatives very helpful and the preferred shop quick and painless. Thanks again!" "Easy to buy, easy to renew. A user friendly experience. Two thumbs up." "I've been a client with Thinkinsure for over two years and have had nothing but flawless, easy times with them. Whether it was getting a "what if" type quote, changing an item on a policy, etc. everything was so easy to do. The fact that virtually every aspect of having auto insurance can be handled online is a great advantage, in this technology based world we are in. Thanks Thinkinsure!"